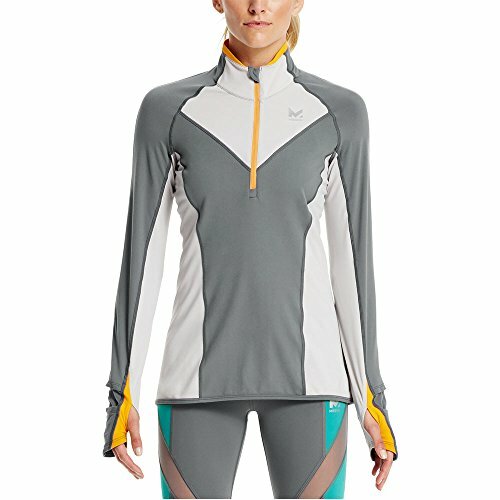 The perfect transitional item, the Mission VaporActive Stamina Lightweight 1/4 Zip Long Sleeve Shirt is made for everything from running to cross training to high aerobic activity, throughout the seasons. The VaporActive technology, powered by 37.5 technology, keeps you dry and comfortable. Our ultra-fast drying technology is chemical free and permanently embedded at the fiber level, so it will never degrade or wash out. Machine wash cold with like colors. Only non-chlorine bleach when needed. Do not use softeners. Tumble dry low. Do not iron.